As the manhunt continues for those involved in the deadly Paris terror attacks that claimed 130 lives more than a week ago, the world – and particularly Europe – remain on exceptionally high terror alert. Belgian terrorist Abdelhamid Abaaoud, who is suspected of being the mastermind behind the Paris attacks, may have intended to commit a suicide attack in Paris’ La Defense business district on November 18 or 19, Paris prosecutor Francois Molins reported. He added that Abaaoud is believed to have returned to the site of the Bataclan attack while police were still there. Belgian authorities have put Mohammed Abrini on their wanted list. He had been seen on November 11, together with Salah Abdeslam, who is a Paris attack suspect. German police have ended the search operation for Salah Abdeslam who is one of the Paris attack suspects. The operation was conducted in the western state of North Rhine-Westphalia where police have not found any evidence of his presence, police said. Police received a tip-off that Abdeslam might have been seen near Minden, west of Hannover. “Our operation is now in the final stages. The suspicion has not been confirmed,” the spokeswoman said. “There is no indication that Salah Abdeslam was present in the area. No arrests have been made,” she added. A school in the Belgian city of Mechelen has been evacuated because of a bomb threat. Police are searching the school. According to local media, four schools have been evacuated over the threat, but police have not uncovered any explosives. “Passengers have been evacuated from the station and it is closed,” the Paris transport agency said in a statement. Later, the Ministry of Interior said the evacuation was over and nothing suspicious had been found, i24news reports. German police say there is no indication to confirm suspicion that Paris bomb attack suspect Salah Abdeslam is in the Minden area, Reuters reported. Laboratory analysis showed that the explosive material inside the vest found on Monday was the same used in seven other explosive vests that terrorists detonated during a series of attacks in France, a French police official told AP on the condition of anonymity. Belgium is remaining under the highest alert level, Belgian Prime Minister Charles Michel said. 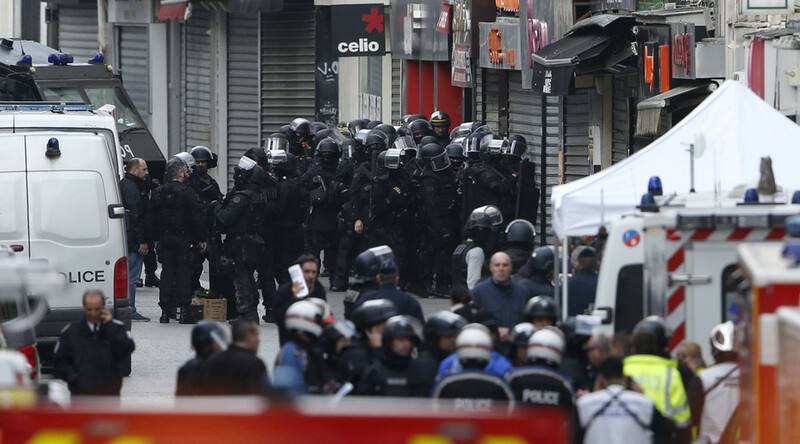 There is a heavy police presence in Brussels as well as throughout the country, he added. Belgian authorities have charged one of the Paris attacks suspects who was detained on Sunday with terrorism. Three more are being questioned, while seventeen others have been released, according to the Belgian prosecutor’s office.